This caterpillar was feeding on a silky dogwood with many others of the same species. 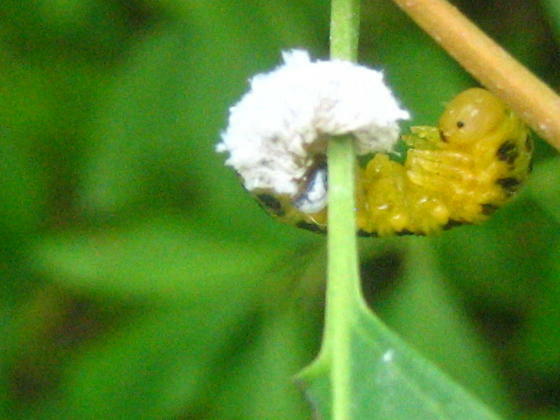 First,they are white and then they shed their pwdery white covering and turn into a green caterpillar whith black spots. We've been building up a lot of images of this one. I'm pretty sure now that it's Dogwood Sawfly - it starts out waxy white then becomes black and yellow later. Great shot showing the actual transformation!